Unique opportunity! Now priced UNDER recent appraised value! 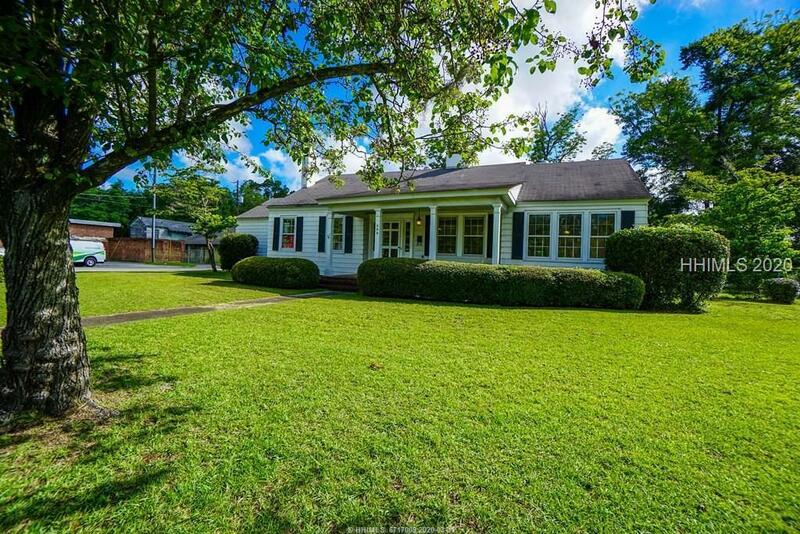 Solid home on nearly 1 acre in heart of downtown Hampton. Zoned HWY Comm., could be used as residence, getaway, rental, commercial. Fenced-in, large gate for vehicle entry. Storage outbuilding with plumb-elec. Classic home has stood the test of time! Steel siding over wood ext. Marked with naturally wooded privacy barrier along back property line, mature oaks, magnolias, pecan trees, and azaleas! 2700 SF boasts 2 masters, 3 full bathrooms and lovely floorplan. Location!1hr to Beaufort, 1.25hr to Savannah, 1.5hrs to Hilton Head Island, 1.75hrs to Charleston.